The multicolored Clamshell was the portable version of the iMac of its time. An Airport Card allowed for internet access, and the G3 processor put out the processing power. Need more speed? Drop in a 512 MB PC133 RAM chip to max out your machine. No wireless? Try a replacement Airport card to get you back online. 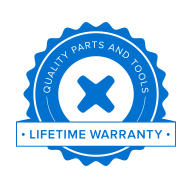 We offer dozens of parts to help bring your machine back to life!